SINTO’s wide range of quality car lubricants are specially designed to ensure that you get the most out of your vehicle at all times, so if you want better all-round performance from whatever you drive, try SINTO. 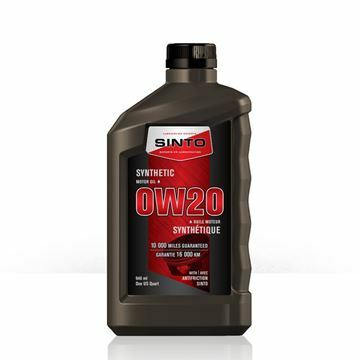 Regardless of whether you drive an automatic or a manual transmission vehicle, those many gear box components need to be running at their best and SINTO’s wide selection of car oil products will keep every element lubricated, protected and performing at a high level. Apart from minimising heat and reducing friction, the right treatments can even boost the octane level of your fuel, preventing it from igniting prematurely and therefore maximising power and fuel efficiency. Every product in the entire SINTO range is designed to keep your vehicle running as cleanly as possible, with our oil and fuel treatments specially formulated to capture or eliminate contaminants before they accumulate into harmful sludge. Some SINTO product will even condition and restore important seals, which can reduce emissions by preventing oil from being burned in the combustion chamber. Quality car lubricants keep your fuel system and engine components clean and clear, minimising the risk of wear and abrasion, ensuring that your vehicle is running smoother for longer with minimal need for repairs and maintenance. Anyone interested in the long term durability of their vehicle should also consider our range of rustproofing protection, because it is essential to safeguarding the structural integrity of your vehicle. If you need professional advice on choosing the right car oil products for your vehicle talk to the experts at SINTO as our dedicated team will answer any of your questions. Simply give us a call or contact us online and start getting more out of your vehicle’s performance today.